The Korean wave has finally reached the shores of India and it is creating a sensation that is giving India’s entertainment industry an awakening to the broader spectrum of music and dramas attracting early-adopter, social media-savvy millennials. Korean culture has already garnered a fandom of over 60,000 registered fans according to the Korean Culture Centre in Delhi and a potential audience of over 12 million youth (according to Facebook Ad) but this uber-organized fandom is already alive and well in WhatsApp chat rooms, on Instagram and on Twitter. K-Pop group EXO’s Kai at a Gucci show in Paris. Although neither star knew each other, the selfie instantly blew up on Instagram and Twitter across India. Other Bollywood actors (and their children) are also reportedly piqued by South Korea’s music groups with their stunning choreography and dynamic danceable vibes. In February of this year INOX theaters screened a concert film by globally acclaimed K-Pop A-lister BTS on two days in 88 cinemas across the country. K-Pop fans inundated theaters with flash mobs, fan chants and thank you gifts and letters for INOX. K-pop group IN2IT with guest star AleXa. IN2IT is comprised of 6 boys selected from an audition process that often takes years of grueling training to win. Alex Christine is under ZanyBros label (ZB) and was winner of both seasons of “Soompi Rising Legends” and participant of Produce48. They will be offering Mumbai denizens a taste of K-Pop at the K-festival organized by the Korea Tourism Organization which will be held at the Phoenix High Street Mall on the 13th and 14th April from 12pm to 8 pm on both days. It is the second event of its kind ever to be held in India to celebrate Korea culture and travel. 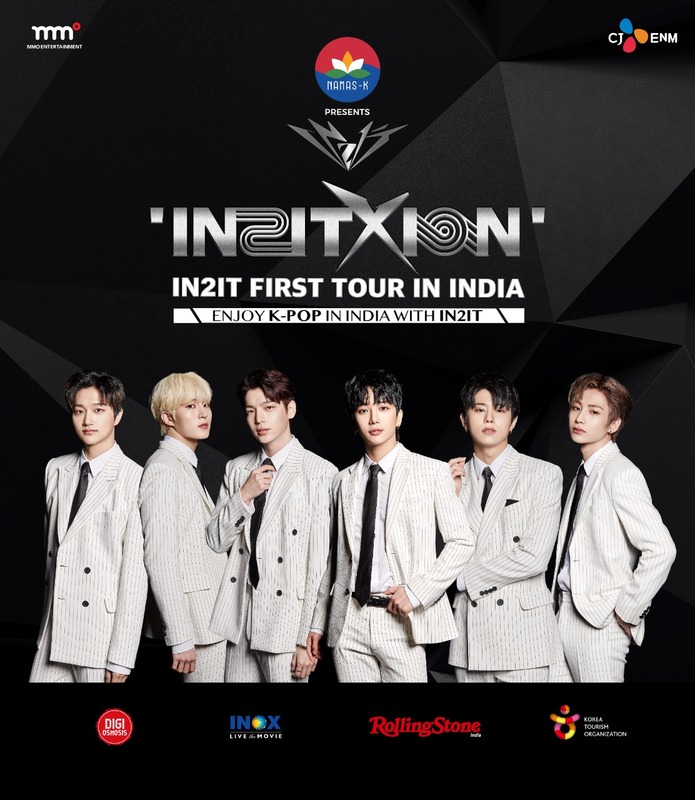 IN2IT concerts will be hosted both at INOX IMAX theaters in Mumbai (April 16th) and Delhi (April 18th), a first for India, and also at other venues Ravindra Natya Mandir on 15th April and Siri Fort Auditorium in Delhi on 19th April. Namas-K is just in time for what appears to be a tidal wave of South Korean investment into India. Sources say at least USD 10 billion (INR 70 000 Cr) is likely to flow into India as foreign direct investment from South Korean companies in the next 3 to 5 years. With Korean companies well known for sponsoring local Korean cultural events, it is just another sign we can expect much more of the Korean -wave arriving on our shores.